Other than the obvious benefits of trading in freezing snow and biting winds for balmy temperatures and a sun-soaked beach there are quite a few desirable factors when it comes down to taking up the snowbirds’ lifestyle in Riviera Nayarit and Puerto Vallarta. Thousands of people per year up and leave Canada and the USA from November to March in favour of the sunny shores of Mexico, and Villa La Estancia Residences is there to greet many of them. Villa La Estancia Residences are a luxurious alternative to booking a hotel or Villa year on year. We challenge you to deny the appeal of spending the coldest months of the year sipping margaritas on Villa La Estancia Residences’ sandy beach. Whether you are retired and you want to split your year between home and Mexico, or you just like to get away as often as possible, the benefits of fractional and outright ownership at Villa La Estancia Residences in Riviera Nayarit are many. For a start, you will never have to face a cold winter unless wish to do so! If you want the freedom to pop in to your home away from home without warning at any time of the year then full ownership is the way to go; you can always rent out the weeks you know you definitely won’t be visiting Riviera Nayarit and Puerto Vallarta. If it’s really just the winter months you want, or you don’t relish the hassle of maintaining two homes, you can opt for fractional ownership. This will allow you to purchase either one eighth or one quarter fractions at Villa La Estancia Residences. Though the privilege of buying a second home is one that not everyone will be able to attain you will find that once you get to Mexico the cost of living in Riviera Nayarit and Puerto Vallarta is much lower than in Canada or the USA. You’ll save on heating and air conditioning expenses when you stay in Puerto Vallarta in winter as the temperatures are high enough to be comfortable, but no so high that they become overbearing. Life’s luxuries are also more affordable on Banderas Bay; spa treatments, beauty days, gourmet dining and even little treats like taxis are cheaper. Furthermore, as you will be living on site at one of the best 5 star hotels in Riviera Nayarit, you will enjoy access to all the facilities and amenities at Villa La Estancia hotel. This means access to the Tatewari Spa, kayaking and paddle boarding, yoga and pilates lessons, swimming pools, outdoor Jacuzzis and fine dining options. On top of which, one of the best beaches in Riviera Nayarit and Puerto Vallarta becomes your front yard! 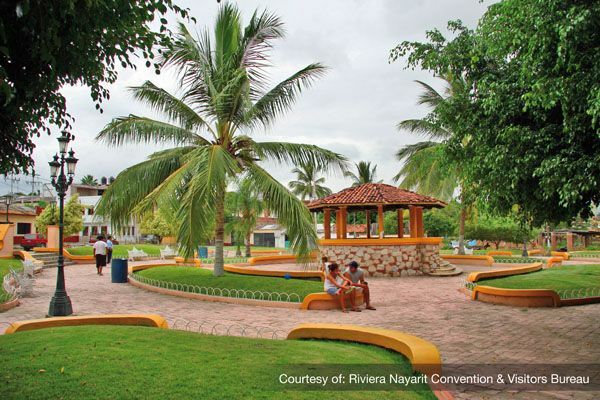 The large and thriving expat community that can be found in Riviera Nayarit and Puerto Vallarta is a great bonus; you can make plenty of friends when you take part in activities such as the regular ArtWalk in Puerto Vallarta and Bucerias, dance lessons, local writers groups, language schools for Spanish classes and other foreign languages, farmers markets and more. Getting involved in charitable work is also a thriving pastime of many snowbirds in Riviera Nayarit and Puerto Vallarta. Private healthcare is one of those luxuries that is more affordable in Riviera Nayarit and Puerto Vallarta, and as a result many people come to Mexico’s Pacific coast to have nose jobs, tummy tucks, teeth whitening and even hair transplants or hip replacements. Imagine arriving for winter and returning home for the summer a new you! United Airlines, Air Canada, WestJet, Delta and other major airlines all have flights which land at the Puerto Vallarta International airport which is less than half an hour from Villa La Estancia Residences. There are also plenty of budget airlines whose flights land in Puerto Vallarta. So not only are you able to enjoy a warm winter here, your friends and family can visit you with relative ease. Just be sure to tell them when you want some time to enjoy your property in peace! If you would like more information about purchasing real estate in Riviera Nayarit and Puerto Vallarta to become a true blue snowbird, click here for more expert advice.